In early 1817, a letter was received at Marischal College in Aberdeen from the Scotch Presbyterian Church in Montreal, asking that a clergyman ordained in the Church of Scotland be sent to Canada to assist in the Montreal church, known popularly as the St. Gabriel Street Church. The salary offered was £400, a goodly sum at the time. The man chosen for the job was Henry Esson, born in 1793, son of a respected Aberdeenshire farmer. In 1807, he had entered Marischal College in Aberdeen, winning prizes for academic excellence and graduating in 1811. He earned an MA. He was ordained in the Church of Scotland in May 1817, arriving in Canada in the fall of 1817 at the age of 24. After a few years, he replaced the incumbent minister, and in all remained at the St. Gabriel Street Church for 27 years. One of the intellectual leaders of Montreal, idealist, scholar and sparkling conversationalist, the Rev. Esson was not afraid of controversy. He was a vocal proponent for recognition of the Presbyterian Church as an established church in Canada, in order to gain for the Presbyterians a share in the revenues from the extensive lands called Clergy Reserves that had been established in 1791 in Upper and Lower Canada. In 1829, Esson published A sketch of the system of education and course of study pursued in the Montreal Academical Institution. His school closed in 1832, the year of the first cholera epidemic and also of a controversial riot that was a precursor to the 1837-38 Rebellions. In 1828, the Rev. Esson was the founder and guiding light of another learning institution, one which subsequently had a lasting impact on adult education in Montreal: the Montreal Mechanics’ Institution, which continues to thrive today, 180 years later, as the Atwater Library and Computer Centre. Esson’s vision for the institute was formed by his sense of Canada’s need to progress into the future. He perceived that the apprenticeship system was breaking down in Montreal as it was in Scotland and England, and that there was a resulting need to educate young Canadian-born workers, as well as the young immigrants flooding into Montreal. At that time, there was no educational facility in Montreal where young men could learn the arithmetic, geometry and drawing skills needed to work effectively in the evolving building trades and in the newly emerging factories. 1. The voluntary association of mechanics and others and the payment of a small sum annually or half-yearly each. 2. Donations of money, books, specimens, implements, models, apparatus. 3. Library of reference and reading room. 4. Museum of machinery and models, minerals and natural history. 5. Academy or school for teaching arithmetic, algebra, geometry and trigonometry, and their different applications, particularly to perspective, architecture, mensuration and navigation, to which might be added ancient and modern language. 6. Lectures on natural and experimental philosophy, practical mechanics, astronomy, chemistry, civil history, political economy, philosophy of the human mind, literature and the arts. 7. An experimental workshop and laboratory. 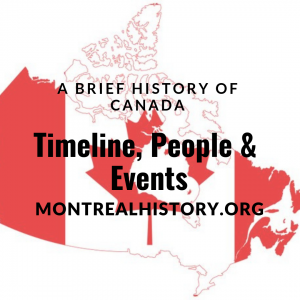 Follow this link to read more articles on Major Events in Canadian History. After several intervening meetings, Esson chaired a meeting on December 9, 1828, at which the constitution of the new organization was adopted, and a Committee of Management elected. 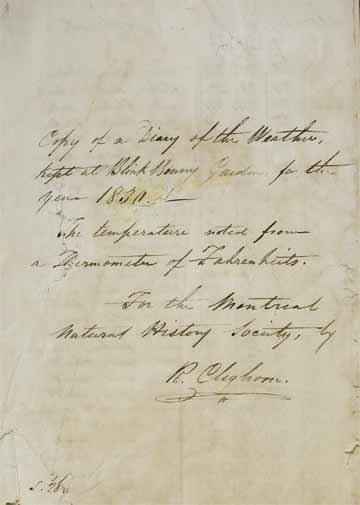 As expressed in the documents s surrounding the development of the London Mechanics’ Institute, and in the Montreal institution’s constitution which also closely followed that of the London organization, the founding officers were leading citizens in the community who would provide preliminary funding and direction, but the actual running of the organization would be by men in the trades and professions. It was to be non-political and non-religious. First president was the Swiss-born sheriff of Montreal, the Hon. Louis Gugy, who was a member of the Rev. Esson’s church, but whose family in Three Rivers [Trois-Rivières] were Anglicans. Vice-presidents were Canadian-born lawyer and politician Louis-Joseph Papineau; American-born merchant Horatio Gates and English-born industrialist John Molson, both former members of Rev Esson’s church; and Esson. Treasurer was builder/cabinetmaker William Shand, a member of St. Gabriel’s Church; and P. H. Ogilvy, teacher in the Rev. Esson’s school, was secretary. In addition there were elected 32 committeemen representing a cross-section of trades and professions in the city. At the December 16, 1828 meeting, the Rev. Esson delivered an introductory lecture entitled, “Object & Advantages of Mechanics Institutions.” He chaired most of the weekly meetings in the first year of operation. Others who chaired the weekly meetings during the first year were Robert Cleghorn, garden nursery owner; teacher and surveyor Alexander Stevenson, ordnance officer William Holwell, lawyer Acheson Clarke, immigration officer and land agent James Allison; tobacconist Samuel Joseph, British & Canadian School teacher John Minshall, builder Joseph Bronsdon; and Messrs Savage, Shand, Boston, Poet, Francis Howson and L. M. Janes. The two semi-annual meetings were chaired by the president, the Hon. Louis Gugy. On May 5, 1829, the Rev. Esson appears to have been thinking about adapting the original ideas that came from England to the realities of the situation in Montreal. 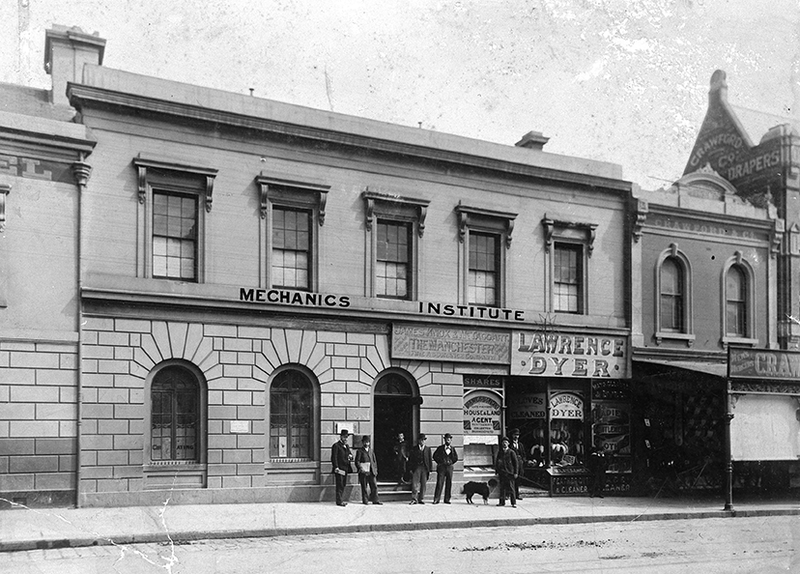 He suggested a discussion be held at the next meeting to seeking answers to “What are the peculiar advantages to be obtained from a Mechanics’ Institute in the existing state of society in this part of the world?” Adaptations to the format and programs of the meetings were made often during the first months and years. Henry Esson served as vice-president of the Mechanics’ Institution in 1828, 1829, 1830, 1834 and 1835. Rev. Esson was a founder of the Montreal Auxiliary Bible Society in 1820, and of the Protestant Orphan Asylum in 1822. He was a founder of the Natural History Society in 1827, a group of mainly physicians and educators whose chief activity was to sponsor lectures on scientific topics. He was a founding member of the St. Andrew’s Society in 1835, and was its chaplain from 1835 to 1844. Rev. Esson was elected to the committee of management of the École Normale de Montréal in 1836, a two-denominational, teacher-training school that was open to both Catholics and Protestants until 1842. He was a founder of the High School of Montreal in 1844. The early 1800s had seen struggles between moderates and evangelicals in the Church of Scotland. This division was mirrored within the St. Gabriel Street Church, where the moderates sided with Henry Esson; while the evangelicals—including early Mechanics’ Institution members Robert Armour, William Dow and John Redpath—favoured the second minister at St. Gabriel’s, the Rev. Edward Black (who had arrived in Montreal in 1823). This evangelical group separated from St. Gabriel’s and formed a new church. A few years later there were more changing loyalties among the Presbyterians, not the least of which were Henry Esson becoming an evangelical Presbyterian shortly after his second marriage in 1842, and Edward Black becoming a traditionalist. The Rev. Esson was married first to Maria Sweeney, from a prominent and important Montreal family headed by Campbell Sweeney; she died in 1826 at the age of 24, and both their children died in infancy. He married Elizabeth Campbell in 1842 before moving to Toronto. He is buried in Mount Royal Cemetery near his first wife and sons. Acknowledgements: With thanks to the Rev. J. S. S. Armour and the the Rev. Harry Kuntz for their assistance with this article. Adapted from articles that appeared in Quebec Heritage News, November-December 2008; and in The Journal of the St. Andrew’s Society of Montreal, May 2009. Armour, J. S. S., Saints, Sinners and Scots, A History of the Church of St. Andrew and St. Paul. Borthwick, J. D., History and Biographical Gazetteer of Montreal to the Year 1892. Campbell, Robert, A History of the Scotch Presbyterian Church. Papineau, Amédée, Souvenirs de jeunesse 1822-1837, ed. Georges Aubin. Dictionary of Canadian Biography: (Esson; François-Joseph-Victor Regnaud).